ENG: Hello from forever green city, how is going? I have another outfit with printed midi skirt: no need any high heels to look chic, isn’t it? 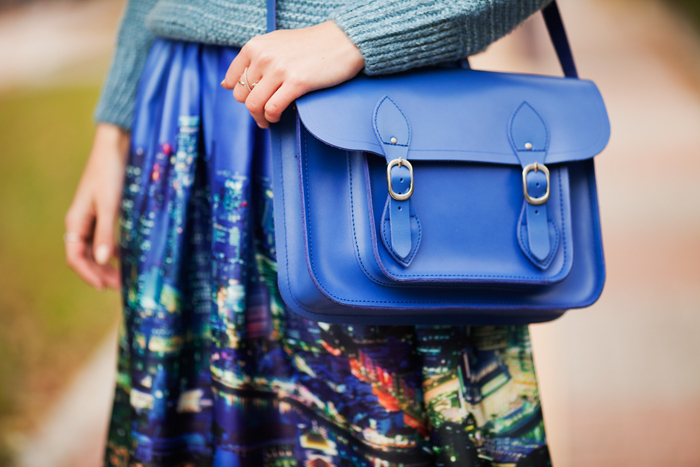 Total blue look is kind of great to boost your mood on and add some extra energy. I think minimalism trend will not gonna reach me, ever, who knows… Stay true to yourself and have a wonderful day! RU: Привет из вечно зеленого города, как у вас дела? А я к вам снова с любимыми цветными миди, которые в очередной раз доказывают, как они здорово смотрятся не только со шпильками, а и со спортивной обувью. И как наши модницы ухитряются ходить на 10-ти сантиметровых каблуках по гололеду? Наверное, причины нужно искать в демографическом кризисе. Желаю вам уютного вечера и бодрого утра, спасибо, что заглянули! Oh wow - I would have never imagined this would look so great with sneakers. Nicely done V! Super unique and such an inspiring outfit! Great ensemble! I love your looks! Образ понравился: стильно и красиво! Юбка хороша! Удачного дня! Целую! Fifty shades of blue ;) Love it! That skirt is SO fun! Love how you paired it with sneakers to give it a more casual feel. ADORABLE! Great look, you are beautifull on the last picture. I like the way you makes this skirt casual! Pretty! 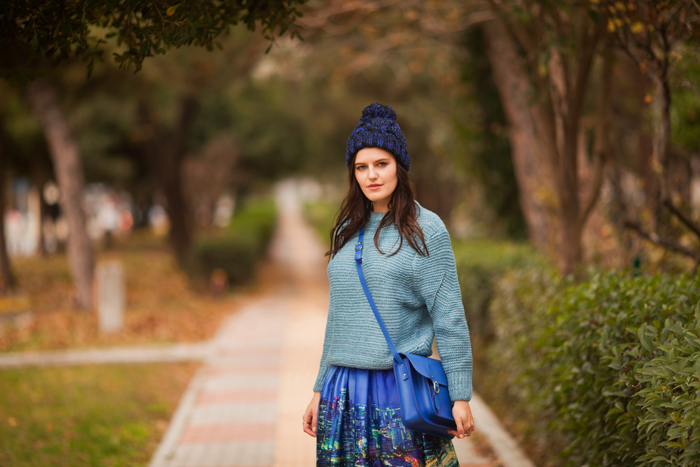 Blue is one of my favorite colors and I am obsessed with that printed skirt! So unique! loving all the blue! great look! Phenomenal outfit! The print on that skirt is so lovely. IskiUski is an online jewellery store that houses high quality jewellery and accessories or earrings for women.